My daughter is hugely into Manga and all things 'Anime'. She is extremely creative and, in my humble and completely un-apologetically biased opinion, very talented for a 12 year old. I can't wait to see how her talents develop and love to do anything I can to encourage her creativity. Over the last 6 months she has become a little obsessed with ‘the right tools’ and by that she means tools like the Copic ink markers, so we have been slowly building a collection of these tools, bit by bit, they are actually a fantastic reward system, every time she does a job I want we head off to the art store and she gets to buy another new colour or another set of artist pencils or a proper sketch pad. Before Easter I went into my local art supply store and I am a regular visitor there so my face is quite familiar to the staff, whilst I was there, as I have talked to them many times in the past about my daugther’s obsession with Copics, so when I walked in the staff gave me a shout and showed me these new pencils for artists, Derwent Inktense Pencils, 4mm Core, Metal Tin, 24 Count (0700929). At around $45 for a 12 pack I have to admit my initial reaction was 'are you kidding'. But then they did a demonstration. 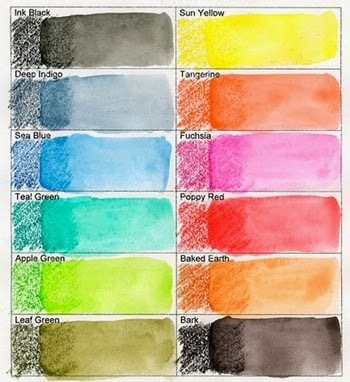 They work just like traditional watercolours in that you can sketch and draw with them like a pencil, and then blend and smooth using a brush dipped in water. 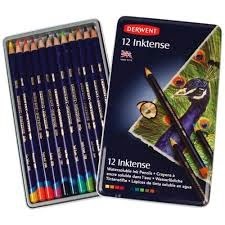 The colours are far more vibrant than traditional watercolours and mimic the ink pens used by artists, the effect is alot like the Copic's we have been buying for our daughter, and with the ability to blend, the options are endless. So for Easter, we bought her a set of 12 to start. Unfortunately, I am so very tempted to pinch them for my jewellery designing and I am finding it very hard to keep my fingers to myself. Whilst I have a great set of watercolours I use when sketching final images of my art jewellery, these are so much more intense and vibrant. 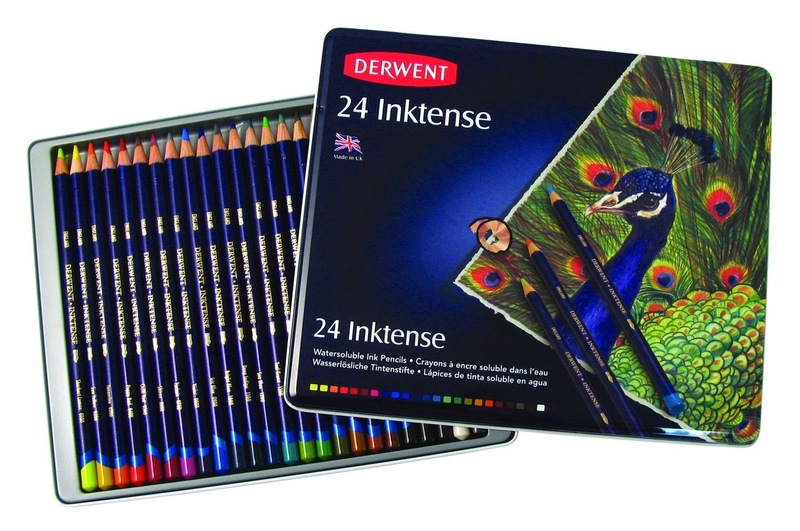 Fortunately for some, these pencils are available at Amazon for alot less than I paid at my local art store, Derwent Inktense Pencils, 4mm Core, Metal Tin, 24 Count (0700929), unfortunately for me, these products are not available to ship to Australia, but the day Amazon posts to Australia I am so getting myself a pack of 24. And I may not be willing to share with anyone!